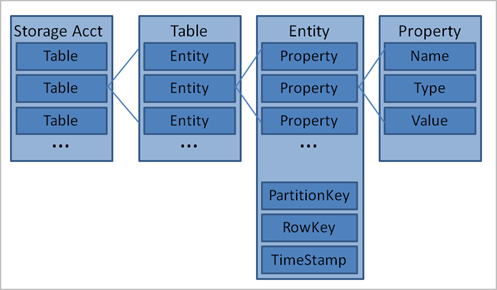 The Windows Azure Table storage service is designed to store large amounts of structured data. Windows Azure Blob storage is another Microsoft service for storing large amounts of unstructured data that can be accessed from anywhere in the world via HTTP or HTTPS. A single blob can be hundreds of gigabytes in size, and a single storage account can contain up to 100TB of blobs. 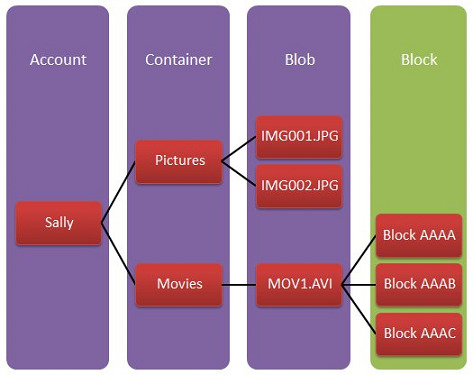 Common uses of Blob storage include: Common uses of Blob storage include:  serving images or documents directly to a browser, streaming video and audio and performing secure backup and disaster recovery. The below figure shows the storage mechanism of blob objects in the Azure blob storage service.